$11.25 for $35 Worth of Natural Skin, Hair, Baby Products from Yes To! 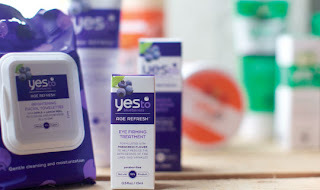 Head over to Plum District to score $35 worth of Yes To products for just $11.25! Yes To specializes in natural/cruelty free skin and hair care products, as well as baby products. The deal is on sale for $15, but use the code mom25 at checkout to drop the price down to $11.25.